United Nations, Jan 29 (IANS) India has been hailed for giving refuge to Jews fleeing the Nazi genocide, keeping with its tradition of being a haven for those escaping religious persecution around the world as the UN observed the International Holocaust Remembrance Day. The president of B’nai B’rith International, Charles Kaufman, said here on Monday that India lived up to the tradition of a nation of righteousness when thousands of Jews found safety and were welcomed when they fled the Holocaust carried out by Nazis in Europe. This was a uniquely overlooked episode that needs to be recognised, he said while speaking at a meeting here on “India: A Distant Haven During the Holocaust” that was organised by India’s UN Mission and the B’nai B’rith, a global Jewish service organisation. India’s Permanent Representative Syed Akbaruddin said that India receiving refugees fleeing the Holocaust was in tradition of welcoming Jews that goes back thousands of years. Anti-Semitism was a rare phenomenon in India and it occurred in 2008 in Mumbai when the Lashkar-e-Taiba terrorists attacked the Chabad centre, he said. While Jews received refuge, they in turn have contributed to India in the arts, culture and economy, he said. Some served in the armed forces and are treasured as national heroes, he added. As the Nazis began their genocidal persecution of Jewish people in Europe, India was engaged in its freedom struggle, yet managed to welcome the refugees, he said. While anti-Semitism and intolerance again show signs of re-emerging, the examples of compassion in the midst of tragedy must be beacons of tolerance, he said. 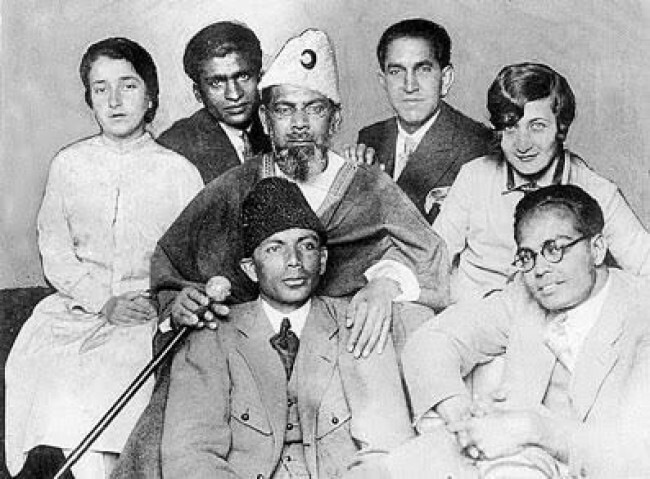 An author and expert on Jews and minorities in India, Kenneth Robbins, said that not only for the Jews, but for many others India was a place where minorities were able to flourish. He gave the example of the Sidis, who came to India as slaves and rose to be rulers – the only instance of Africans ruling non-Africans, he said. The several thousand Jews who fled Nazi persecution to India in the 1930s, came in several waves starting with the German Jews. They were followed by others from Italy; Austria, East and Central Europe; North Africa, Afghanistan, Iraq, and Poland, Robbins said. There were also those who married Indians studying in Germany and elsewhere who came with their spouses to India. Yusuf Khwaja Hamied, the chairman of Cipla, brought down the price of AIDS medications to $6 making to affordable to millions in Africa, saving their lives, he said. His mother was Luba Derczanska, a Lithuanian Jew who married his father Khwaja Abdul Hamied when he was a student in Berlin, he said. Among the thousands of Jewish children who came India was Tom Stoppard, the award-winning British playwright and screenwriter. Born Tomas Straussler, he went to school in India in India after his family fled Czechoslavakia. Stephen Tauber came to India as a child in 1937 when his physician father was offered a job by Ganga Singh, the Maharaja of Bikaner, and received a visa to leave Austria escaping the Nazis. During his time in Bikaner, he witnessed religious harmony among Hindus, Muslims, Christians and Jews, who respected each other’s religions. Speaking at a Holocaust memorial ceremony earlier on Monday, Secretary-General Antonio Guterres said that not only was anti-Semitism still strong, it was getting worse and we must “reaffirm our resolve to fight the hatred that still plagues our world today”. “Inevitably, where there is anti-Semitism, no one else is safe,” he warned. “Across the world, we are seeing a disturbing rise in other forms of bigotry. “Intolerance today spreads at lightning speed across the Internet and social media and most disturbingly, hate is moving into the mainstream – in liberal democracies and authoritarian systems alike,” Guterres added.